Shea M. Tolbert was born in North Carolina at Cherry Point Marine Corp Base, where his father was serving in the military. Most of his childhood was spent in Lenoir, NC. He later moved to South Carolina where he graduated from Easley High School. 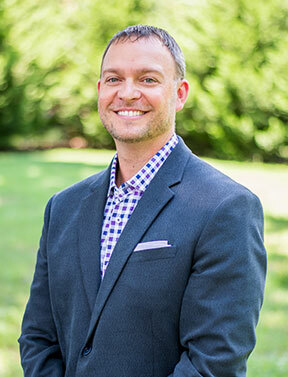 Dr. Tolbert attended Clemson University where he was part of the Honors College and earned his Bachelor of Science degree in Psychology. He earned his Doctor of Dental Medicine degree from the Medical University of South Carolina in Charleston. While at MUSC, he was presented with the American Academy of Implant Dentistry award for exhibiting the greatest interest, knowledge, and proficiency in the field of surgical and restorative implant dentistry. Subsequently, Dr. Tolbert completed the prestigious University of Florida Advanced Education in General Dentistry residency program. This residency works closely with internationally renowned training programs, including The Dawson Academy for Advanced Dental Studies and The Pankey Institute. He continues his passion for dentistry yearly by completing numerous hours of advanced continuing education courses in general practice and specialty procedures. Dr. Tolbert focuses on comprehensive treatment, smile design aesthetics, cosmetic orthodontics, CAD/CAM digital dentistry, and surgical implant dentistry. Dr. Tolbert is a faculty member of the Medical University of South Carolina where he helps train dental students rotating through the Greenville Free Medical Clinic. Also, he volunteers at Dentistry from the Heart FDH sponsored events. While attending Clemson University, he met his wife, Jennifer Hoeben Tolbert. They married in March of 2007. Jennifer is a graduate of Seneca High School and Clemson University as well. She has been a choreographer for local dance studios, pageant coach, model and talent scout, and is the former official choreographer of the Teen, Miss and Mrs. All-Star United States pageants. His mother and stepfather reside in Greenville, SC. Sheryl, his mother, works at Patewood Hospital in Greenville. Steve, his stepfather, manages BMW of Asheville, NC. In December of 2010, Dr. Tolbert and his wife had their daughter, Cayman, and in May of 2014, their son, Cohen, was born. In their free time, Shea and Jennifer enjoy attending Clemson sporting events, golf, travel, and spending time with friends and family.